Maintaining the exterior appearance of your roof is as important as its creation, ensure it’s always looking its best with Hemisphere Roofing. 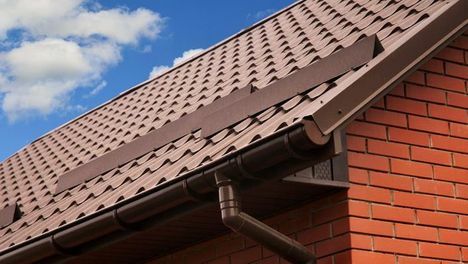 Our expert team work with clients across Corby, Northamptonshire to provide a range of roof finishings, using quality uPVC and Roofline products as well as facias, soffits, and guttering to boost your homes kerb appeal. We offer the latest roofing solutions for our customers, with single-ply, uPVC roofing. Finished with a cold-applied coating, it offers excellent waterproofing, durability, and a long lifespan. uPVC is a low-maintenance solution to keep your home dry, with fascias available in a variety of colours and the ideal replacement for your existing facias and soffits. Keep your house dry and looking fantastic with our team, contact us for the uPVC and Roofline products we provide in Corby, Northamptonshire and the surrounding areas.